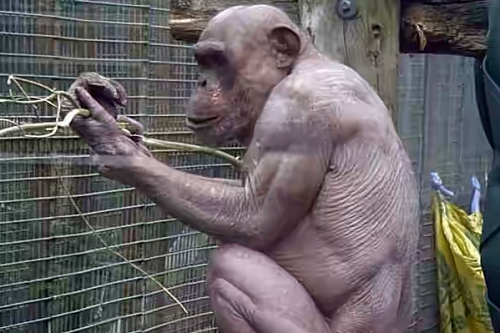 A hairless chimpanzee who became an internet hit when a film of an apparent fight with another chimp went viral, has died suddenly. Following his death, a spokesman for the zoo were he had lived said in a statement: "Mongo was undergoing a routine health check to investigate his enlarged air sac. 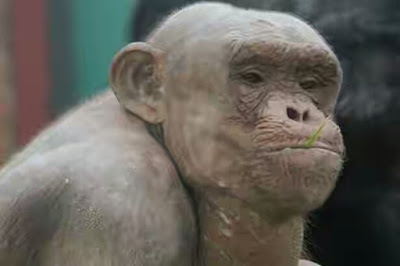 "Although Mongo showed no other outward signs of ill health, the health check revealed that he had an infection and regrettably, he failed to recover from the anaesthetic."